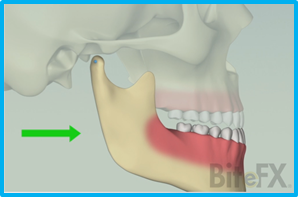 The third in the series of more detailed 3D views of the TMJ is "Mandibular Motions". 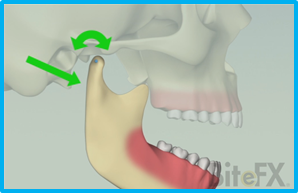 Probably most useful for introducing dental students to the motions of the mandible, you may find this animation helpful in clarifying the motions to particularly inquisitive patients! 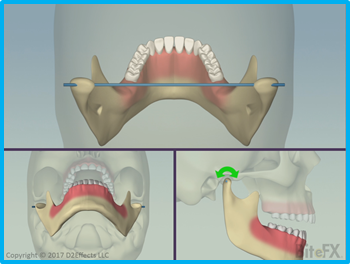 We are most grateful to Dr. Drew Cobb, Director of the Core Curriculum at The Dawson Academy, for his help in creating these animations. First we are thankful for his patience as it's taken over two years to put this set together, and secondly for his time as he's joined our animation team on several video conferences to review and refine what we've produced. The pictures released in October's updates did not have texts to accompany the pictures in the session reports on Windows. These have been added in this month's update. These updates are delivered in Update 66 on Windows, and Update 33 for the iPad.